Private investigators Henry Churchill and Lexie Winston have found themselves in a tumultuous time in their newfound partnership. While trying to track down someone that's been recklessly selling magical texts to desperate people untrained in their use secrets from Henry's past begin to surface and drive a wedge between the pair. Unsure of who to trust, Lexie finds herself trying to make new allies and navigate the hidden agendas, buried secrets, and intricate network of allegiances in the supernatural underground of New York City. One false move and it could cost not only their partnership but the lives of everyone around them. - A SHADOW UPON THE SCENES: Henry has concocted a plan to discover the identity of the magic dealer they've been tracking thanks to the assistance of a customer that just barely survived his brush with the supernatural. The plan isn't without it's dangers though, and if they don't tread carefully they'll find themselves trapped by Henry's darkest secret with no way to survive. - A WOLF IN WOLF'S CLOTHING: Lexie and Henry’s partnership is at a delicate juncture. Unsure of how to trust each other, Lexie strikes off on her own to help a bounty hunter track down someone or something that steals not just the identity but the face and lives of its victims. What should be a simple job turns deadly and Lexie finds herself unsure of who to trust and facing a killer that's just as vicious no matter what face it wears. - INJURIES OF THE PAST: In the wake of a nearly partnership ending case Lexie inadvertently exposes Henry's secret to the wrong person, setting off a sequence of events that will jeopardizes not only Henry's soul but the lives of his entire family. If Lexie can't undo the damage she's done it won't just end their partnership but it could leave the entire city in chaos. - A BODYGUARD OF LIES: Lexie and Henry finally have a solid lead on the person who's been selling the magical texts but to capitalize on it they'll have to do some favors for an unsavory collector of supernatural items. A piece of his collection has broken free and has been wreaking havoc in a wealthy suburb. They'll have to find a way to contain it before it tears that town apart, all the while navigating through his lies and half-truths, before they can get the answers they need. Private investigator Henry Churchill has spent the past twenty years helping people who’ve been lured into the supernatural underbelly of New York City. Three months into his rocky new partnership with Lexie Winston and the mismatched pair have found themselves investigating magical texts being sold to desperate people untrained in their use and unaware of the dangers lurking within. There are enough hidden supernatural dangers in the city they have to face without unsuspecting and untrained people accidentally summoning demons, creating monsters, or inadvertently sending the world to Hell. - NEVER LET GO: Lexie and Henry are contacted by a husband concerned about his wife after a tragic loss. With the help of an ancient, mystical text she's eased her pain with unspeakable and unnatural acts in the hopes of bringing back what they've lost. - A LOVE SUPREME: A young woman’s father hires the pair after his daughter is taken captive by a man with blood red eyes, razor sharp teeth, and voice that can break the will of anyone who hears it. Getting her back will require stealth, magic, and a lot of bullets. - HEART OF SUFFERING: A woman is stalked by an ex-boyfriend who’s taken to magic as the means for revenge over a heart break, Lexie & Henry have to divide and conquer against demons, monsters, and threats to their very souls. - AN EQUAL SHARING OF MISERIES: In the aftermath of a botched immigration raid, a supernatural force is released. Lexie & Henry must track it with the help of a federal agent out for revenge before it can devour more lives, all while facing doubts and a lack of trust creeping into their partnership. High school can be Hell, and Mark Watson's strategy for survival has always been to keep his head down and try to go unnoticed. That's hard when everyone knows him as "that weirdo quiet kid whose parents died. "or worse "that kid Jack and his friends mess with and beat up all the time." When he literally runs into the cute new girl in school he finds himself happy to be noticed, especially since she sees him as "the kind of cute and shy boy that helped her adjust to another new school." Despite things looking up for once Mark finds himself plagued by nightmares of children in the 1950's being held captive by an unhinged man trying to make them see the figure of flame and smoke that's compelling him to kill. Mark tries to brush it off as the product of an overactive imagination and traumatic childhood until someone close to him is murdered and his dreams show it to him in grisly detail. 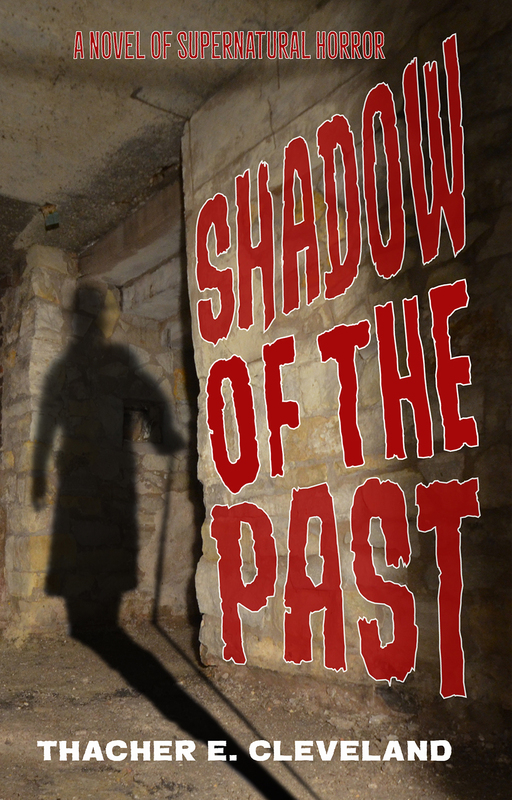 Now Mark must figure out the connection to the visions of the past he's experiencing and the supernatural force in the present that's targeting anyone close to him. Something out there wants him broken, helpless, and alone as everything in his life is set aflame. Then, and only then, will it turn its burning eyes to him and drag him down into smoke and darkness.